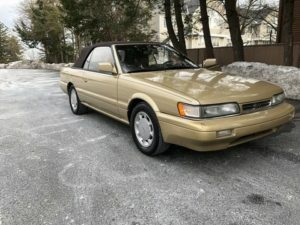 Just last year Roger and I were discussing how awesome it would be to own a pebble beige M30 convertible. 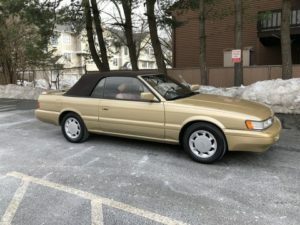 It would have to be painted, of course, since the M30 convertible did not come in Pebble Beige. As I was doing my daily scouring on the internet, I stumbled upon this ebay listing… the color instantly caught my attention! 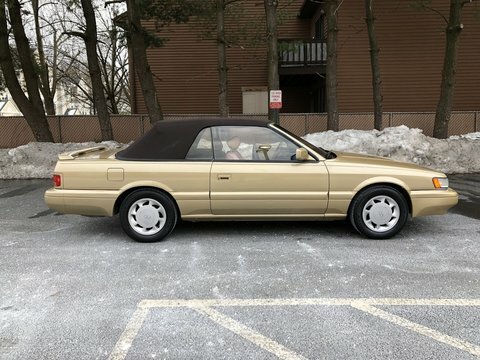 While not the exact CG2 Pebble Beige Metallic, the gold isn’t something you see everyday! It was painted at a shop, but it offers a glimpse of what a Beige could look like! Check it out on ebay if its still on there, he has more than 2000 pictures of the car! Mileage, only 41K! 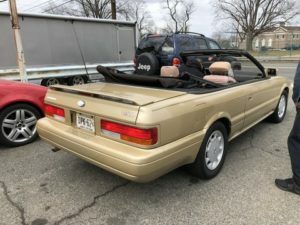 This entry was posted in blog, convertible, history, opinion and tagged convertible, gold.